Shortly after news broke at E3 that 343 Industries was indeed making a Halo: The Master Chief Collection retailers begin accepting pre-orders for the game and it’s only natural that pre-order bonuses begin to appear. an exclusive “Boom” Skull that unlocks 2x explosion physics for the Halo 2: Anniversary campaign. 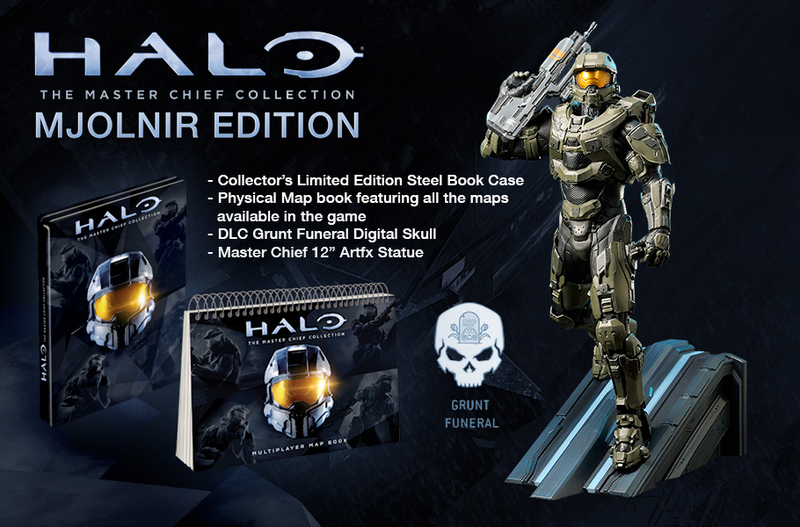 If you pre-order the “Halo: The Master Chief Collection Mjolnir Edition” from Game UK you’ll get everything in the Limited Edition as well as a 12 inch Master Chief Statue from Kotobukiya. If you pre-order from Gamestop or EB Games you’ll get the Bandana skull. The Bandana Skull provides unlimited ammo and grenades. 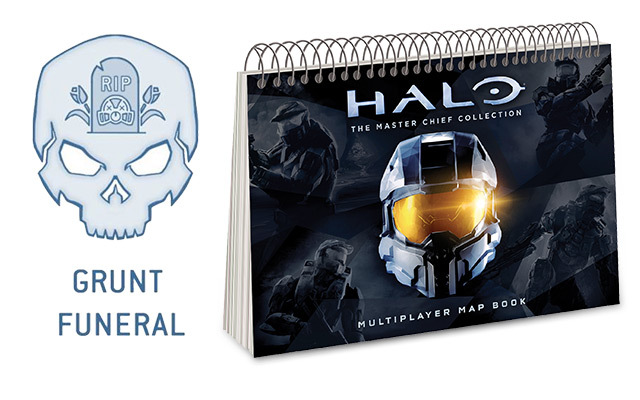 If you pre-order from BestBuy or JB Hi-Fi (Australia) you’ll get the Grunt Funeral skull. The Grunt Funeral skull makes grunts explode after they die. 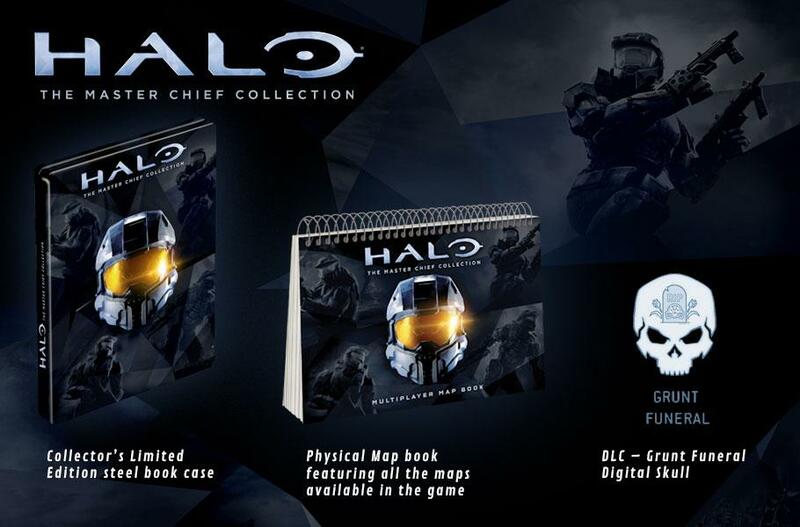 Many have already seen pre-order bonuses in the form of skulls with Halo: Combat Evolved Anniversary back in 2011, which included the “Grunt Funeral” skull. This map guide book lets you gain an advantage with every multiplayer map included in Halo: The Master Chief Collection video game. Each map includes tips and expert strategy written by pro-gaming legend, StrongSide, who holds multiple Halo tournament victories. If you pre-order from ShopTo you’ll get the (brand new) Bonded Pair Skull DLC (co-op only) which gives a 100% damage boost for 60 seconds if your co-op partner dies. The ‘Bonded Pair’ Skull unlock for the Halo 2: Anniversary campaign is exclusive until 12/12/2014. Halo 4 - How to Fly a Pelican on Reclaimer Mission in Campaign! Faster & Easier!